The leaves are changing, the smell of pumpkin spice wafts through the air of every coffee shop, and the lyrics to “Boo to You” somehow refuse to leave your brain. That means one thing: Fall is here! As we’ve said many times, fall is one of our favorite times to visit Disney World or Disneyland, in large part because of the Halloween decorations and festivities. If Mickey’s Not So Scary Halloween Party at Magic Kingdom or Mickey’s Halloween Party at Disneyland are part of your Halloween plans, my number one tip for either party is to dress up in a costume. If you’re over 14, it’s one of the only times you’re allowed to dress up in a costume at Disney World or Disneyland. The party is a ton of fun, and dressing up lets you capture the magical feeling of being a kid on Halloween, whether you’re 6 or 60. For your convenience, I’ve come up with a list of great Disney-themed Halloween costumes available on Amazon. Many of these are available with free 2-day Prime shipping (Try Amazon Prime 30-Day Free Trial ). Tip: If you really want to up your Halloween costume game, coordinate with the family and friends in your party. Pick a theme (i.e. Toy Story characters, Dark Side Star Wars characters, the Avengers, Mickey Mouse’s Fab Five, etc), and have everyone pick a character in that theme. 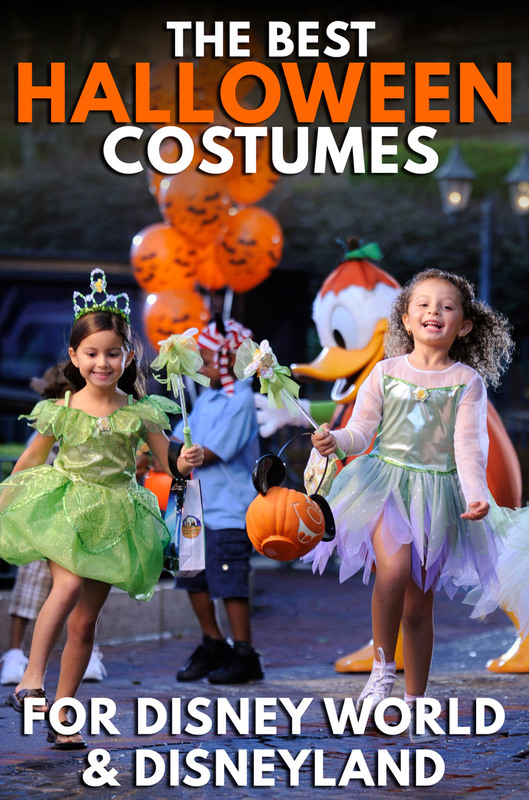 This list includes Mickey & Friends, Disney Princesses, Star Wars, Marvel, and Pixar costumes, and I tried my best to find costumes that complied with Disney’s costume guidelines (no masks for guests over 13, no weapons). If there’s anything you think I should add to the list, let me know in the comments below!